We are defense lawyers against third-party debt collection lawsuits in Talladega and Shelby County, Alabama. Third-Party Debt Collectors file hundreds of lawsuits against people in Talladega and Shelby County every month. 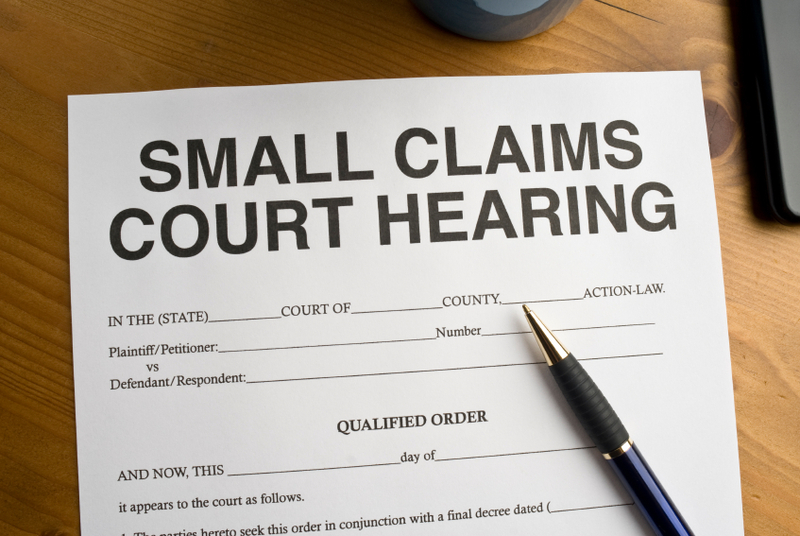 In many cases, these lawsuits are filed by the debt collector in Small Claims or District Court. Many people being sued by a third-party debt collector in Talladega and Shelby County (and the rest of Alabama) are unaware that they may have grounds in their case that could result in the third-party debt collector’s lawsuit being DISMISSED by the Talladega and Shelby County courts. However, a dismissal of your case will rarely ever happen if you do nothing. Even if you believe you may have previously owed money to an original creditor, you may have legal grounds for a defense in your case against a third-party debt collector that is now suing you over an alleged debt. First, if you are being sued by a third-party debt collector, or a debt buyer in Talladega or Shelby County, Alabama you should know some background about how many of these third-party debt collection companies operate. Third-party debt collectors are simply debt collectors that pursue collecting debts on behalf of another person or another company. Many times, these third-party debt collectors have purchased the “old” debt from an original creditor or another debt collector for pennies on the dollar and attempt to collect 100 cents on the dollar. The larger third-party debt collection companies, such as Midland Funding for example, handle large volumes of accounts from across the country. Many times, these large third-party debt collection companies file hundreds of collection lawsuits per day. Many of these lawsuits are filed against residents of Shelby County and Talladega County, Alabama in Small Claims and District Courts. In most cases these third-party debt collectors are suing for 100 cents on the dollar, plus interest, late fees, attorney fees, and costs. Unfortunately, a vast majority of residents of Talladega and Shelby County being sued by these third-party debt collectors will fail to respond or hire a lawyer to represent them against the collection lawsuit because they just assume they have no defense. If no answer is filed with the Court within the proper time period, then the lawyer for the third-party debt collector will then file a Motion for a Default Judgement requesting the Court grant them a judgement for the money amount alleged in the Complaint. From there, if a default judgement is ordered by the Court, the third-party debt collector can collect on the judgement perfecting it into a garnishment action to garnishing wages, garnishing a bank account, perfecting a lien on real estate or personal property, etc. This is generally part of the collection business model for the large third-party debt collection companies, it’s all a numbers game. The large volume of default judgements they obtain in court then allows them the legal authority to collect on these judgements. After a judgement is ordered, it is no longer an alleged debt and party with a money judgement ordered by a court can exercise the legal rights that go along with that judgement regarding methods collecting on the judgement (for example garnishment of wages). Once you have this basic, general background understanding of many third-party debt collectors’ mode of operation, more importantly you then need to know that in many of these cases there may be viable defenses or objections raised by a debt collection defense lawyer to defeat their collection case against you in court (depending on the fact and circumstances of each particular case). In certain cases, if the third-party debt collection lawsuit is dismissed, or a judgement is issued in you favor – we may have grounds to file a lawsuit on your behalf against the third-party debt collection company. Grounds for a potential lawsuit against a third-party debt collection company may result from a Federal law that protects consumers: the Fair Debt Collection Practices Act (FDCPA). In the event you have grounds to sue a third-party debt collector, our lawyers may represent you with no fees or costs paid up front, and only paid on a contingency basis if you receive a settlement or judgement in your favor. If you are a resident of Talladega County or Shelby County, Alabama and you are being sued, or soon will be sued by a third-party debt collector, such as Midland Funding, feel free to contact our law office in Childersburg, Alabama to schedule an in office or phone consultation to discuss your case further. Depending on your case, our lawyers may be able to defend you in Talladega or Shelby County courts against a third-party debt collection lawsuit for a low flat fee and in some cases, no fee. In some cases, our Childersburg based law office, Jordan M. Copeland, Attorney at Law, works in collaboration with other Consumer Protection law offices in Alabama to defend consumers against third party debt collection lawsuits and in the filing of lawsuits under the FDCPA against third party debt collectors when there are grounds. If you are being sued by a third-party debt collector in Talladega or Shelby County, Alabama, don’t let the debt collector get a default judgment against you due to your inaction – contact our law office to schedule an appointment to explore possible defenses in your case. Additionally: this website is in no way intended to constitute and does not constitute legal advice. There is no attorney-client relationship created by reading or viewing this website. Any information that you might send to us via email may not be confidential, privileged, or secure. Sending email does not create an attorney client relationship with any attorney of this law firm.